Age is nothing but a number. You’re only as old as you feel! You look in the mirror and notice…frown lines! And what are those tiny crinkles around your eyes??? You don’t feel old enough to be seeing these subtle signs of aging, yet there they are. You run out and get a facial, and while your skin glows and you love the bag of new anti-aging products you’ve purchased, those tiny lines still remain. You become religious about using sun block. 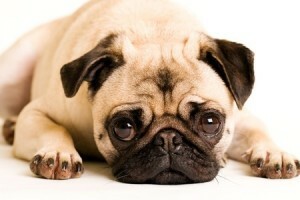 You consider Botox, but the thought of someone injecting neuro-toxic chemicals into your face scares you half to death. The stress of considering all this makes you furrow your brow and clench your jaws, and suddenly you notice little half-moons appearing between your eyebrows. If this is you, you NEED to try facial acupuncture! 1) Your skin will thank you. Any esthetician will tell you that regular facials should be part of your health and beauty routine. 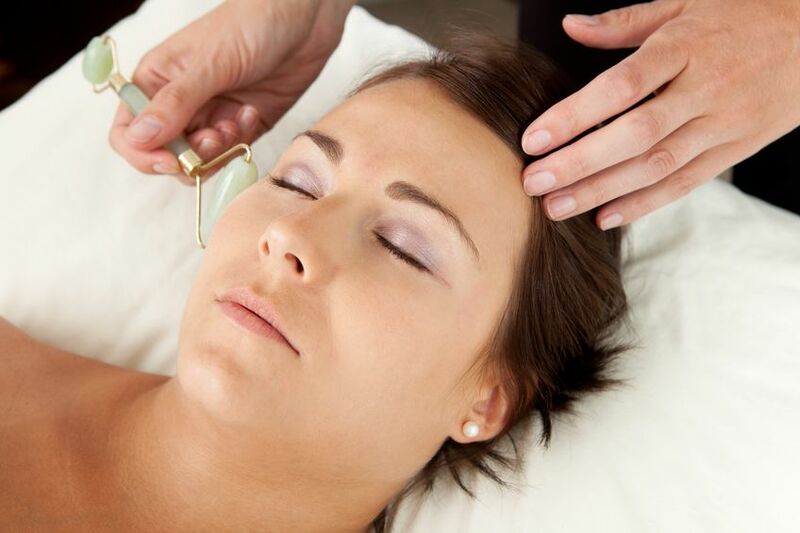 Facial acupuncture takes what your esthetician does to a deeper level. The needles stimulate blood and lymphatic flow to the face and skin, allowing for improved nutrient and waste exchange in the tissue. Research suggests that acupuncture can stimulate collagen production, improving facial tone. Under your skin, muscles control the movement of your mouth, eyes, and nose. Like your back or knees, if the some muscles are too tight and some are too weak you won’t have the normal range of facial expression and wrinkles can be the result. Acupuncture can help restore the correct muscle tone, reducing those pesky wrinkles. 2) It’s not JUST for your skin. Since facial acupuncture combines face-specific points with a constitutional treatment, your series of visits will also help the health of the rest of your body. Many facial points have sympathetic nervous system regulating effects , so you may experience reduction in feelings of stress and anxiety which last for days beyond each treatment. Pulse balancing constitutional treatment can regulate digestive upsets, improve disturbed sleep, ease the challenges of your monthly friend as she comes or as she goes for good, and more. 3) Asian medicine is famous for its “microsystems”. Reflexology practitioners relieve back pain, menstrual cramps, sinus congestion and more by pressing on specific points on the feet. Korean acupuncturists use points on the hands to treat conditions everywhere on the body. The French doctor Nogier identified a map of the human body on the ear and outlined a system of treating complex conditions using fine needles on the ears. 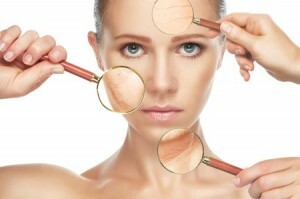 The face is another microsystem which reflects the health of the whole body. All those smile lines, puffy places around the eyes, thinning lips, and other facial changes may be a reflection of things which are changing internally. People who complete a course of facial acupuncture often report “side effects” of improved sleep, decreased anxiety, fewer headaches, less sinus pressure, and more. 4) It feels amazing! Facial acupuncture combines the best of acupuncture and esthetics. Treatment starts with an herbal mask formulated for your skin type augmented by a warm compress over the face. Fine needles are used in a variety of points on your arms and legs to bring your pulses into balance, leading to deep relaxation. Once the mask is removed, your focus areas are addressed with tiny needles and you are left for a period of relaxation time. Once the needles are removed, you are treated to a skin tonifying spritzer followed by a brief massage to your face and neck using a moisturizer specific to your skin type. You leave your mini-vacation relaxed and glowing. Don’t fire your facialist just because you try acupuncture. While we overlap in some areas, an esthetician is specially trained to make your skin glow and can recommend a variety of products to keep you looking your best. While acupuncture can also make your skin glow, it works below the skin to address underlying imbalances which can contribute to your skin concerns. Your acupuncturist may recommend diet changes, an herbal formula, or other vitamin/mineral supplements to augment your treatments and address underlying concerns. Beauty may be in the eyes of the beholder and it is certainly more than skin deep! By the way, I’m running a special “Try-me” package for facial acupuncture which includes an initial consultation and your first three sessions at a deeply discounted price. It’s a great way to see if facial acupuncture will work for you. Find out more here. This entry was posted in Acupuncture, Health and Wellness and tagged beauty, facial acupuncture, relieve stress, skin care. Bookmark the permalink.